Android inherits many UNIX security features such as process isolation, UID and GID paradigm and so on. The idea of Android sandbox is basically assign each installed application an UID and its user space will confide with the principle of least privilege. Below is a great illustration to visualise Android sandboxing by assigning different UID to every application. This is a well thought security management that really mitigate and simplify many permission problems that can exist in android. Details of user matrix can be found in /data/system/packages.list. The order of the packages.list format is package name, UID, debuggable flag, data directory, seinfo label and GIDs. As for what we have discussed, new UID will assign to every newly installed application and GID will assign depending on what hardware component application requested for. It is obvious that it will be a design fault, if the system only relies on user to be the only forte of granting permission like send SMS, read SMS and so on. Hence, a privilege metrics for permissions are implemented - Protection Level. Every android permission are categorised into 4 different kinds of flags. The system default permissions are described here. Applications may declare their own permissions for other application to use. The default value. A lower-risk permission that gives requesting applications access to isolated application-level features, with minimal risk to other applications, the system, or the user. The system automatically grants this type of permission to a requesting application at installation, without asking for the user's explicit approval (though the user always has the option to review these permissions before installing). A permission that the system grants only to applications that are in the Android system image or that are signed with the same certificate as the application that declared the permission. Please avoid using this option, as the signature protection level should be sufficient for most needs and works regardless of exactly where applications are installed. The "signatureOrSystem" permission is used for certain special situations where multiple vendors have applications built into a system image and need to share specific features explicitly because they are being built together. 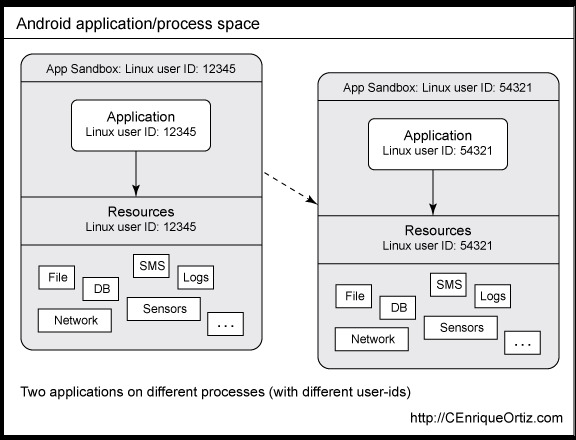 As illustrated earlier every process on android has its own sandbox and it uses IPC to enable apps to exchange information and data in a secure way. 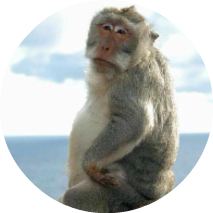 Instead of relying on the Unix IPC, Android is using Binder, a custom implementation of OpenBinder. Specify the exact intent to start by name (the fully qualified class name). Typically this is being used in your own application. Does not name specific component, but declare a general action to perform, which allows a component from another app to handle it.